What's better than a plain old coloring page? A coloring page you can wear! 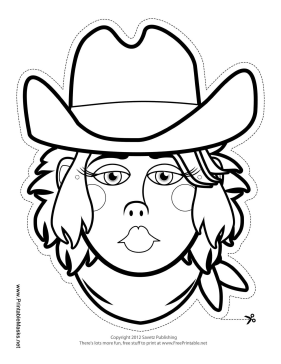 This color-in cowgirl mask will be a real hit at any western-themed party. You can color in her bandana and hat your favorite color! This mask is free to download and print.